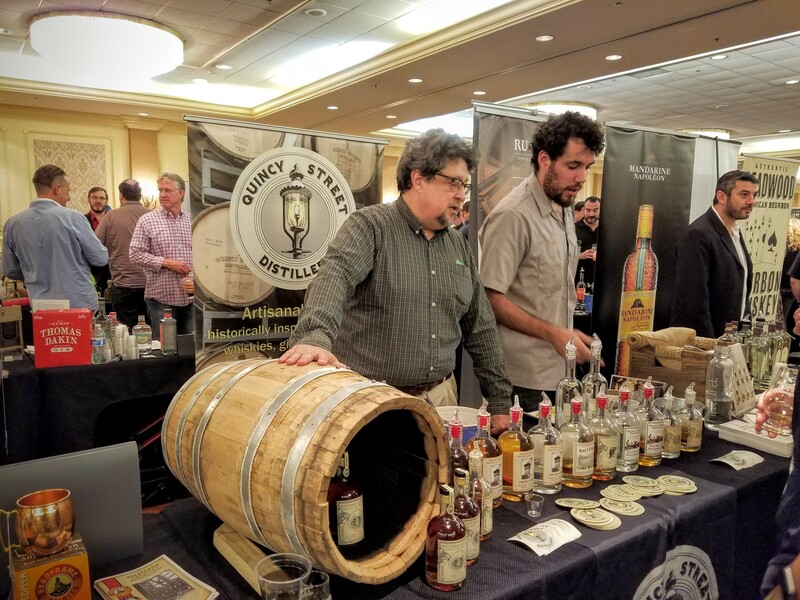 Home » Blog » Events » 2016 Chicago Independent Spirits Expo Recap! A few weeks ago we spent an entire day surrounded by craft distillers, producers, distributors, and establishment owners. Where did we have the opportunity to listen to the heartbeat of America’s craft distillers? 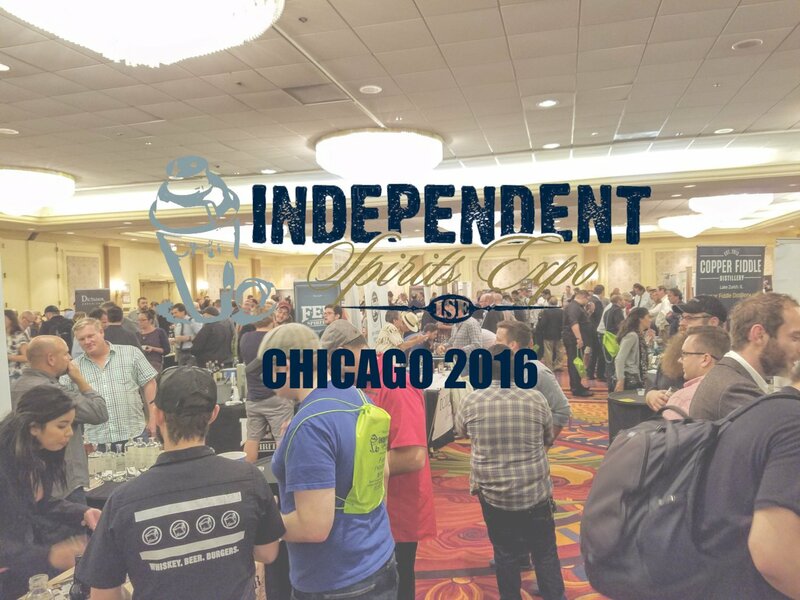 The 2016 Chicago Independent Spirits Expo. Started in New York City over 10 years ago by Dave Schmier, former owner of Redemption Rye & Temptation Bourbon whiskey brands, and Martin C. Duffy, U.S. Brand Representative for Glencairn Crystal and former Sr. Masters of Whisky for Diageo. Now in it’s 6th year in Chicago, with past events held in New York City, Las Vegas, San Francisco, and New Orleans. This year’s expo gave over 150 independent distillers and industry professionals the opportunity to network, share their experiences, and pour samples of their spirits. Though there were many professionals in attendance the event is open to the public. It provides a one of a kind experience for those looking to learn more about craft spirits and the people behind them. 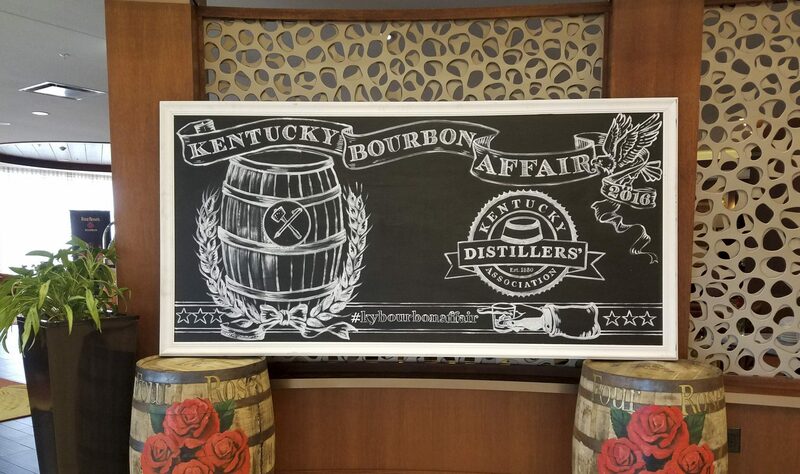 We were able to talk to more distillers of craft brands in one place than ever before. We interacted with the people who have true passion for their products, the people behind the brands. We began our day with an industry roundtable discussion where a dozen prominent industry insiders shared their experiences, their challenges, and their outlook on the future of craft distilling. We heard from Monique Huston (Winebow), Brett Pontoni (Binny’s), Paul Hletko (FEW Spirits), Matt Blaum (Blaum Bros.), Bill Welter (Journeyman), Danny Shapiro (Scofflaw), Aaron Zacharias (Fountainhead), Brian Christensen (Artisan Spirits Magazine) and many others. 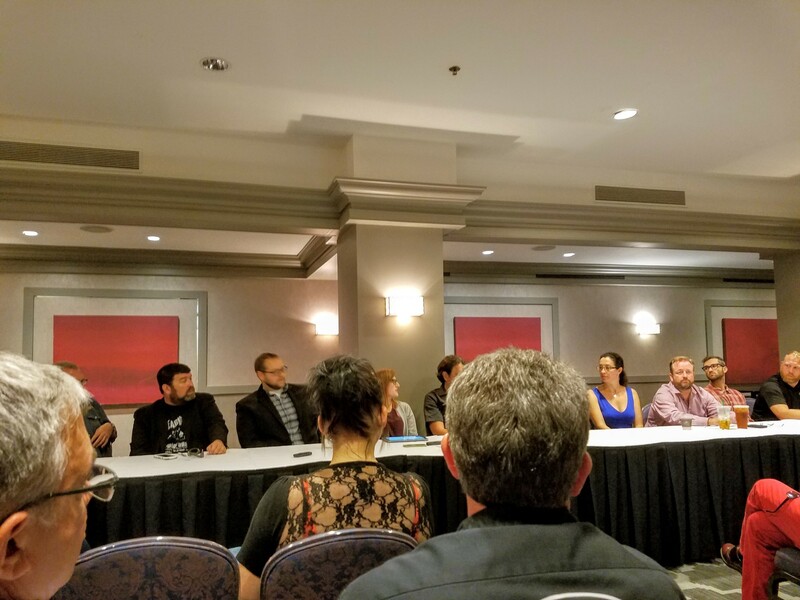 The round table discussion was an opportunity for industry professionals to share their experiences, challenges, and outlook on all aspects of the craft spirits industry. From production to distribution to sales and marketing. It was a venue for them to learn from each other while providing consumers in the audience a glimpse into the industry. Some of the major topics included the evolution of craft spirits, the importance of the distributor relationship, and some thoughts on what may be to come. The industry round table panel kicked off the day. “The grace period has come to a close” added author Lew Bryson. Talking about consumers giving leeway to local distillers while they learn the ropes. Consumer and distributor fatigue is setting in with regard to paying upwards of $40 a bottle for an average product. “The romance of small local distillers wears off if they aren’t producing quality spirits.” Distributor Monique Huston agreed. “The first bottle is an easy sell,” she said, “it’s the second bottle that’s hard. And that’s what concerns so few people.” She went on to say that on-premise, bars, are the trend setters; they predict where the market is going. Dave Schmier talked about how important it is to find a great distributor. He stressed that it isn’t always about connecting with the largest distributor. Finding the right fit for your brand is critical. WIth limited shelf space, distributors only have so much capacity for new products. Finding one with trained sales reps who care about your product must be a top priority. Those are the reps who will seek out opportunities that are a good fit for your brand. Danny Shapiro expressed a similar sentiment from the on-premise (aka bar and restaurant) perspective. He might be hesitant to bring in a spirit from a distributor with whom he doesn’t have a great relationship. He is much more open to opportunities presented to him from distributors he can trust. He knows that once a spirit makes it into a cocktail on the menu there is a risk it will sell out and he wants to work with a distributor that will come through. Producers and marketers on the panel agreed that focusing on your local market is very important before expanding. Not only can expanding too quickly put a distiller at risk of out-of-stocks, it can also lead to a shaky foundation to the brand. Being present is key to success. If, as a distiller/producer, you can’t spend the time to visit remote on and off-premise accounts then you won’t be successful in those markets. Matthew Blaum of Blaum Bros. left us with a final thought. “Consumers are becoming more educated.” And the panel agreed that as this happens, there is increasing downward pressure on whiskey price points. As consumers realize there are excellent Bourbons at reasonable price points they will be less likely to continue purchasing higher priced craft bottles. What does this mean for craft spirits producers? Launching and maintaining a craft operations takes an immense amount of time and effort. Independent producers do not enjoy the same economies of scale as the big guys and can’t afford to make mistakes. 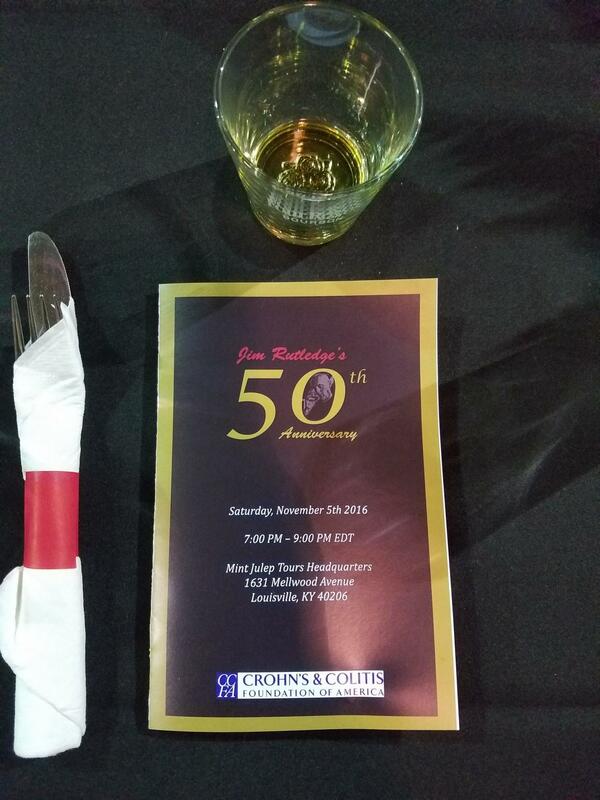 They must charge a premium for their Bourbon; here lies the caveat. The craft producers who are creating truly exceptional spirits will be able to demand that higher price. While the rest will likely be acquired or forced to cease operation as demand and/or price of their products continues to fall. Between the roundtable and the expo itself there were two breakout discussions. The first was titled ‘Financing your Indie Brand’ and the second, which we attended, ‘The Common Sense of Scents’. 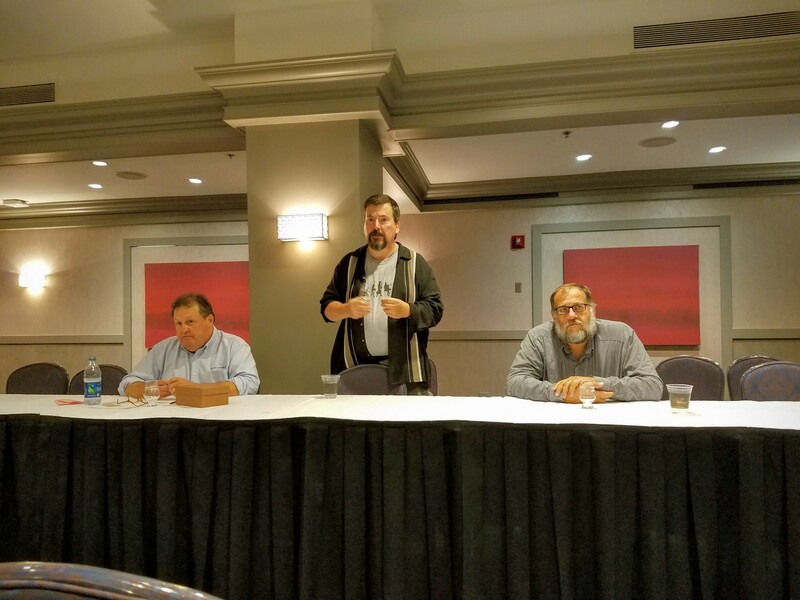 Martin Duffy of Glencairn introduced the two panelists, Tom Johnson of the Aroma Academy, and Lew Bryson whiskey writer and Managing Editor of Whisky Advocate from 1996 to 2015. The Common Sense of Scents panel was dead serious about this topic. Left to Right: Tom Johnson, Martin Duffy, Lew Bryson. They explained that the sense of smell is the only sense connected to all areas of the brain. For this reason it is best to take small, short, gentle sniffs. Pause. Exhale. Do not take a huge sniff all at once, the alcohol compounds in the spirit will overwhelm your senses. They went on to explain that when nosing whiskey you are not trying to smell the whiskey itself. Rather you want to smell the air above the whiskey as various notes evaporate. These notes will evaporate at different rates causing the scents, and therefore taste, to change over time. Tom and Lew wrapped up by passing out nosing samples and asking the group to name what they smelled. The results, as expected, varied from person to person driving home a key takeaway from the lecture: every nose is different. When the doors to the expo floor opened I gathered our team including Chicago Bourbon contributor Jacqueline Rice and Bourbon.com founder David Wieland. Together the three of us set out to taste ALL OF THE WHISKEY. 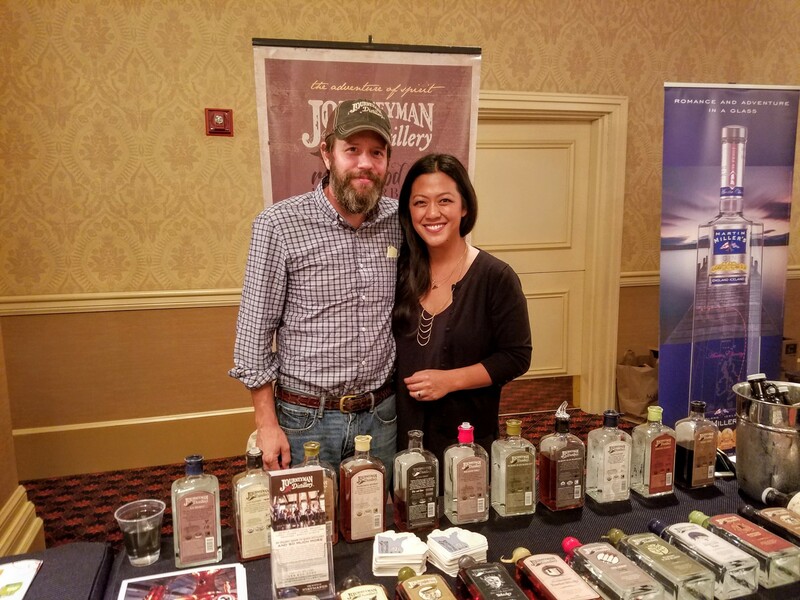 Bill and Johanna Welter of Journeyman pouring their wide range of spirits and telling us all about their distillery complete with on-site restaurant and overnight accommodations! Our first stop was Journeyman where we spoke with founder Bill Welter. Bill shared some of the history of the distillery and briefed us on their expansion as he poured samples of their Featherbone Bourbon Whiskey. Bill and his team have been tirelessly working to turn Journeyman and Three Oaks Michigan into a destination. From the beautiful historic factory that is home to the distillery to the more recent addition of “Staymaker”, their full service restaurant serving a range of local food and craft cocktails. They also host various private events, weddings, and bottling parties year round. Before moving on to our next table we sampled the Buggy Whip Wheat Whiskey and it’s cask strength bottling Corsets, Whips & WhiskeyBill shared some crazy stories about guests at their distillery guest house which can be reserved for overnight visits of up to 20 guests. A brewery and distillery located here in Chicago. 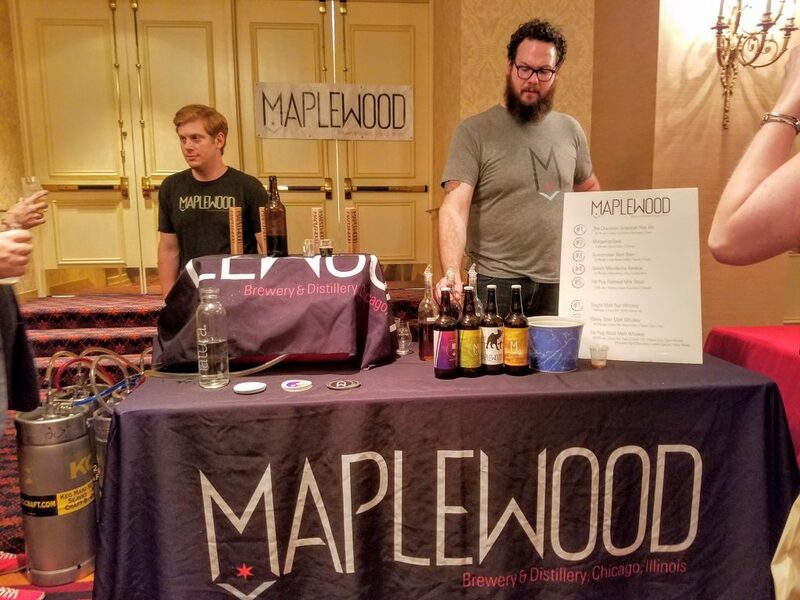 Maplewood was sampling their beers and whiskey! Chicago’s local brewery and distillery, Maplewood, was our next stop. The guys at Maplewood, led by founders Adam Cieslak and Ari Megalis, were pouring their signature craft beers. But they were also sampling some of the barrel aged whiskeys we saw during our tour earlier this year. They distill these whiskeys from the same grains used to brew their beer. We tasted their “Fat Pug” Oatmeal Milk Stout alongside the Pug Stout Whiskey made from a grain bill inspired by the beer. It was quite an experience picking out the similarities between these two very different products that came from very similar roots. Read about our tour and interview with Maplewood, click here! CH Distillery owners Mark and Tremaine manned their booth. Their Coffee Liqueur, in collaboration with Dark Matter Coffee has a one of a kind taste. We hit up our friends Mark and Tremaine with CH Distillery, makers of “Chicago’s Local Vodka”, to see what interesting spirits they were pouring. In addition to their flagship vodka we sampled CH’s Straight Bourbon Whiskey, a fine example from MGPI. One of their most intriguing pours we tasted was the CH/Dark Matter Coffee Liqueur. A collaboration between CH Distillery and Dark Matter Coffee that’s so light and smooth I could see finishing a bottle in no time. As we sipped, Mark gave us an update on their new distillery construction. A large operation going up in Chicago’s Pilsen neighborhood set to open soon! 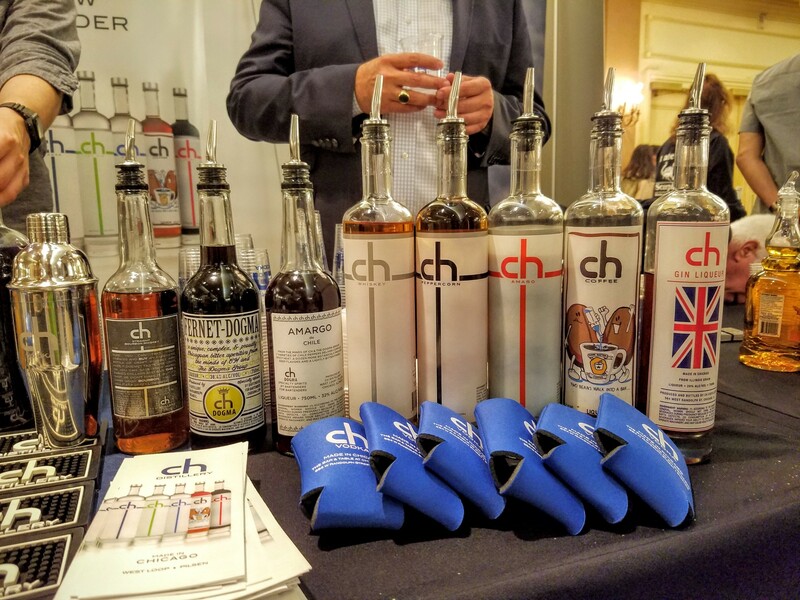 Read more about CH Distillery, click here! Quincy Street Distillery owner Derrick Mancini telling us about their upcoming Bottled-In-Bond release. Owner and distiller Derrick Mancini greeted us at the Quincy Street Distillery table. While resting a hand on an open barrel Derrick gazed over an impressive array of spirits. As we sampled his high corn Bourbon, which clocks in at a whopping 84% corn, he explained how Quincy Street has distilled craft spirits in the Chicago area since 2011, long before many other craft distilleries opened their doors. Being around that long has given them a head start aging Whiskey. With time on their side they will be the first Illinois distillery to release a Bottled-in-Bond Malt Rye Whiskey since pre-prohibition. This Rye has been aged at least 4 years and bottled at 100 proof. Keep your eyes on Chicago Bourbon for a release announcement when this new Whiskey drops! Read our Quincy Street Distillery article, click here! 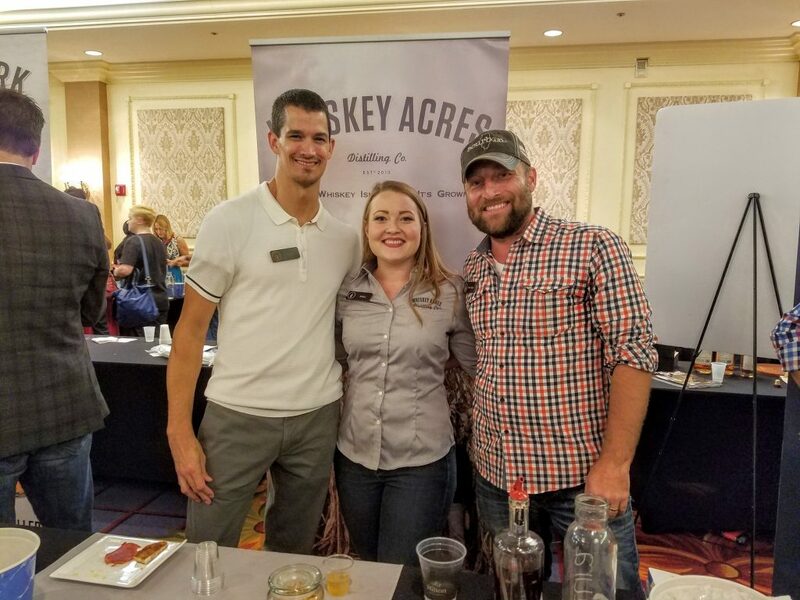 Part of the team behind Whiskey Acres, these three poured samples of their new Bourbon and soon to be released Rye Whiskey. The folks behind Whiskey Acres had their grains on display to highlight the importance of their “Seed to Spirit” process. 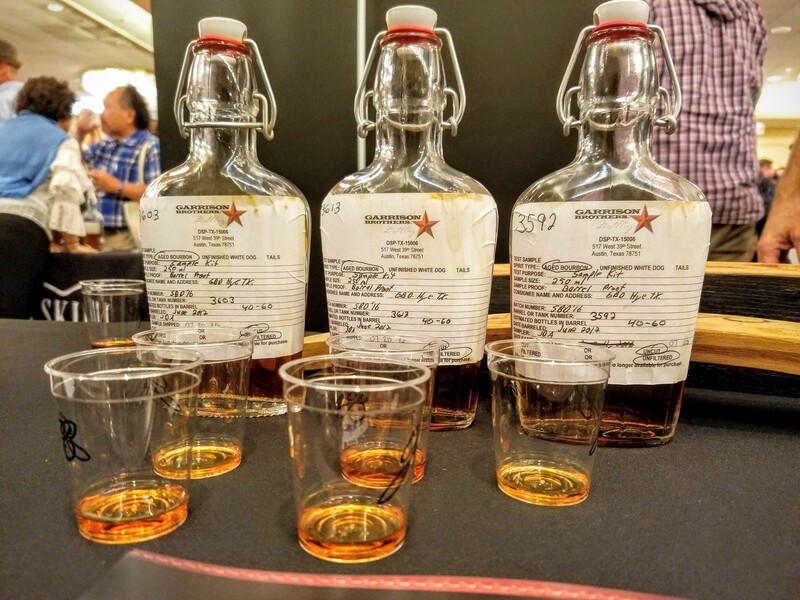 We sampled a recently released Bourbon as well as their upcoming Rye Whiskey which hadn’t yet made it into bottles in time for the expo. Speaking of bottling, the distillery in Dekalb, IL regularly hosts “bottling parties” where whiskey enthusiasts can volunteer to help bottle Whiskey Acres spirits while eating pizza and enjoying a drink or two. After our visit to the distillery where we enjoyed sampling their Bourbon we are looking forward to getting our hands on a bottle of their new Rye! Read more about Whiskey Acres farm distillery, click here! Between Bourbon booths we bumped into Ben Diedrich of Single Malt Alliance fame. Ben pulled me aside to taste a soon to be newcomer to the US market. HYDE Irish Whiskey produces three varieties – a 6 year Bourbon Barrel Aged Single Grain, 10 year Rum Cask Finish, and a 10 year Sherry Cask Finish; all pot distilled. The 6 year was described as a “Bourbon drinkers Irish Whiskey” but for my money the Sherry Cask is where it’s at! We were told by HYDE’s brand ambassador, Karl Cummins, that their whiskey will be making its US launch in November 2016. Beginning with a single very limited edition bottling followed later by several more releases. The FEW crew pouring their Gin, Bourbon, Rye, and new Single Malt to name a few. 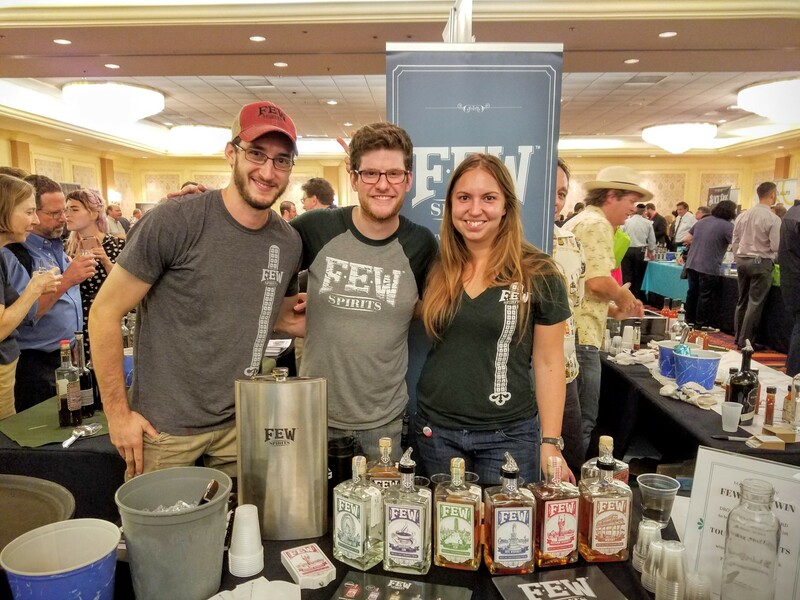 FEW Spirits is a local success story and one of the first distilleries featured on Chicago Bourbon. They are keeping plenty busy with their “FEW Friday” events held at the distillery in Evanston, IL. As well as international distribution and a very cool event in September held at Binny’s Lincoln Park where they launched the collaboration “Flaming Lips Brainville Rye Whiskey”. Founder Paul Hletko and his crew were pouring samples of a range of their spirits. Including a brand new Single Malt Whisky distilled from 100% malted barley. We heard a few people discussing American Single Malts at the expo. It very well could be an up and coming category for American spirits. Read about our tour of FEW Spirits, click here! Three single barrel samples from Garrison Brothers. Each pulled from barrels aged across three different rickhouses. Walking up to the Garrison Brothers booth Charlie Garrison greeted us. A proud Texan and self-proclaimed “Whiskey Peddler”, it’s easy to fall into a conversation with Charlie as if he were a good friend you hadn’t seen in years. And if Bourbon happens to be the topic of conversation you’re in luck. These guys have put every ounce of their soul into producing damn fine Texas Whiskey. As we sampled 3 unique single barrel Bourbons Charlie explained the 3 different style rickhouses each barrel makes it’s way through during the aging process. He talked about the custom barrels they use created in collaboration with 3 different mills using a special seasoning and drying process that creates tighter grain in the wood. Each of the samples we tasted was barrel proof, uncut, and unfiltered aged over four years. Each had a very unique, and highly agreeable, flavor profile worthy of the many awards adorning their bottles. 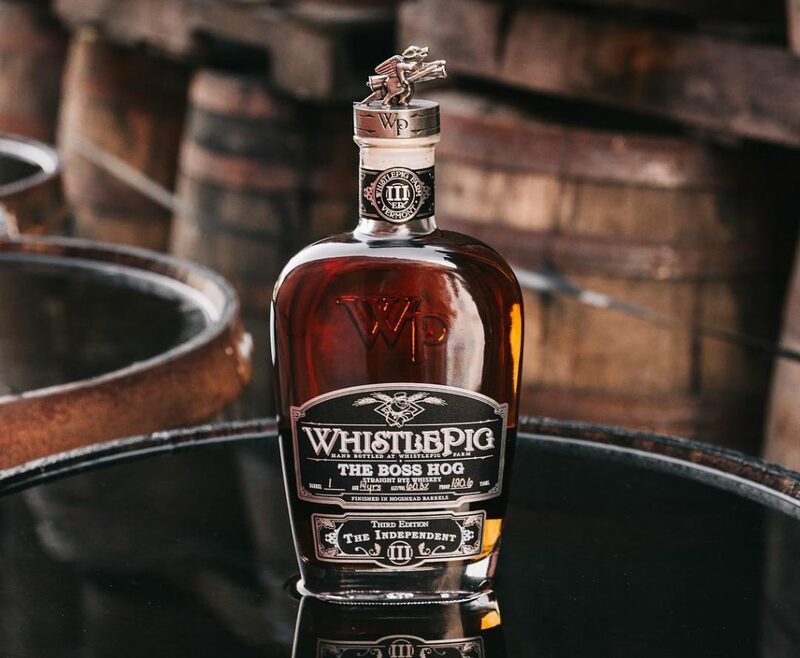 The 2016 WhistlePig Boss Hog. Coming out November 2016! By design, WhistlePig was our last stop of the evening where we helped Midwest Steward of the Brand Taylor Hansen pack up by lightening the weight of a few open bottles. Taylor was kind enough to pour us their flagship 10-year-old 100 proof WhistlePig Straight Rye Whiskey. We sampled this and the 12 year “Old World” for the first time at a collaboration dinner in early 2016. Since then we’ve been following Taylor and the brand on their rise to becoming a sought after producer in a booming Rye Whiskey market. Taylor talked to us about the upcoming third edition of their infamous Boss Hog Rye Whiskey. With a label reading “The Independent” as a nod to entrepreneurship and innovation. It will be their first Rye Whiskey finished in Hogshead 250 liter Scotch casks, enhanced with new American Oak heads. Aged 14 years and bottled at barrel strength only 30 barrels of this Whiskey will be released. Look for its unique Pewter Flying Pig Stopper towards the end of November 2016. Read about a fantastic WhistlePig dinner, click here! Was the Independent Spirits Expo worth our time? Without a doubt. Leaving the expo that night we were already looking forward to next year. In this post we were only able to cover a tiny fraction of the over 150 exhibitors. The best way to get the full experience and meet all the craft producers you love is to get to the next Independent Spirits Expo; coming back to Chicago in late September 2017.